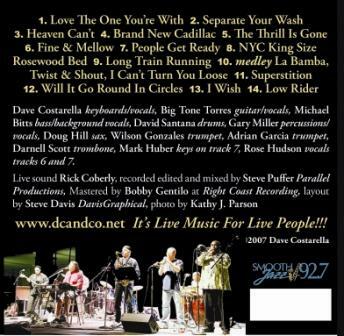 D.C. & Co's brand new Live CD "D.C. & Co. 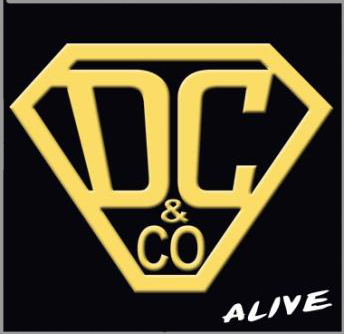 ALIVE"
D.C. & Co. to release Live CD Jan. 2008! 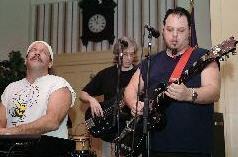 Media & radio please click here to request CD for review or radio play. Click here to Buy it from CDBABY! Click here to listen and download from iTunes! Click here to watch video recordings of "Alive"
I had many request for it, and a lot of people saying that I need to capture the energy from the live gigs because it’s over the top, and you can’t get that in a studio. Well I think that you captured that energy on this CD. Can you explain where the energy comes from? Probably not, but I’ll try. I have the privilege to work with these great musicians, they listen to each other, they react, they play from the tips of their toe on up. From the first hit, it’s like getting in to a brand new Porsche, starting it up, and taking it for fast ride on a narrow winding rode. And believe me sometimes it’s more power than I can control. Does the audience have any effect on the performance? Oh, for sure! It takes it to a whole other level. I know with these players, I can always get to a certain place, with or without an audience. But when they are packed in and lovin’ it, dancing and partying with us, their energy and our energy combine to make this euphoric force where everything is effortless, It’s just a magic place to be. You wish that you could stay there forever. D.C. you use many different musicians, and it seems to always rock, what do you attribute that to? Yea, we have a big family. I guess the single most important way to keep it a happy family, is that I find players who already play and act the way that works in D.C. & Co. and just ask them to do what they do, with our material. I don’t expect it to be the same as the other player, I give them the parameters and know they’ll put their creativity and themselves into it, and react to what’s going on around them. The other way is to pay them well, which as of yet is beyond me. So I try to treat them well, and realize that they have to make a living, so when one of the guys gets picked up by a good paying cover band or a tour, I understand, and know that they’ll come back when they can. You said play and act. What did you mean by act? All these musicians are good people, I enjoy being with them. No egos, I don’t need to worry how they’ll treat the audience or the establishment’s staff or if they’ll be trashed by the second set. It’s just a pleasure to be around them. You are known for your songwriting, why did you put so many cover songs on this CD? When we do covers, we do them our way, in fact when I bring a cover in I usually tell them to forget how it goes, let’s give it this feel and see where it’s going. I’m not going to spend the time and the money on them in the studio, with the back log of original material that I have, but these songs have been favorites of ours and our audience for years, they’re a blast! Why did you choose the two originals that you put on the CD? I think I can tell why you put “Heaven Can’t” on for sure, but I’d like to hear it from you. “Heaven Can’t” is one of my favorites to perform live with this band. It’s like the groove and sounds and tempo, sort of make an equal balance of what’s inside me.. uhhh, like everything inside is equal or the same as everything outside. And it could go on forever as far as I’m concerned. Listen to that rhythm section, and Big Tone’s guitar, It’s alive! It’s moving it’s changing, try to hang on, man, then kick in the horns, wow. I just love being there! You gotta listen to the instrumental section, and I mean do yourself a favor and crawl into it, and you’ll know what I mean by alive and you’ll see what great live players do. 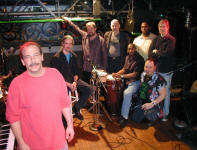 Dave Santana and Michael Bitts and the rest, they thrill me. Separate Your Wash, has been one of our most requested originals. It’s always been fun to do, and some fans made me promise to put it on. By the way we had enough material to make another CD from this night; this is all that would fit on one. You have so much passion when you talk about your music, With every answer I think of three more questions I want to ask, but I’m going to try to stay on tract, and maybe get back to those later. D.C. & Co. is one of the few bands left using a real horn section, I’ve seen you with up to six horns at a time, how does that work? Like I said, we have a big family. But it’s hard to keep them fed. 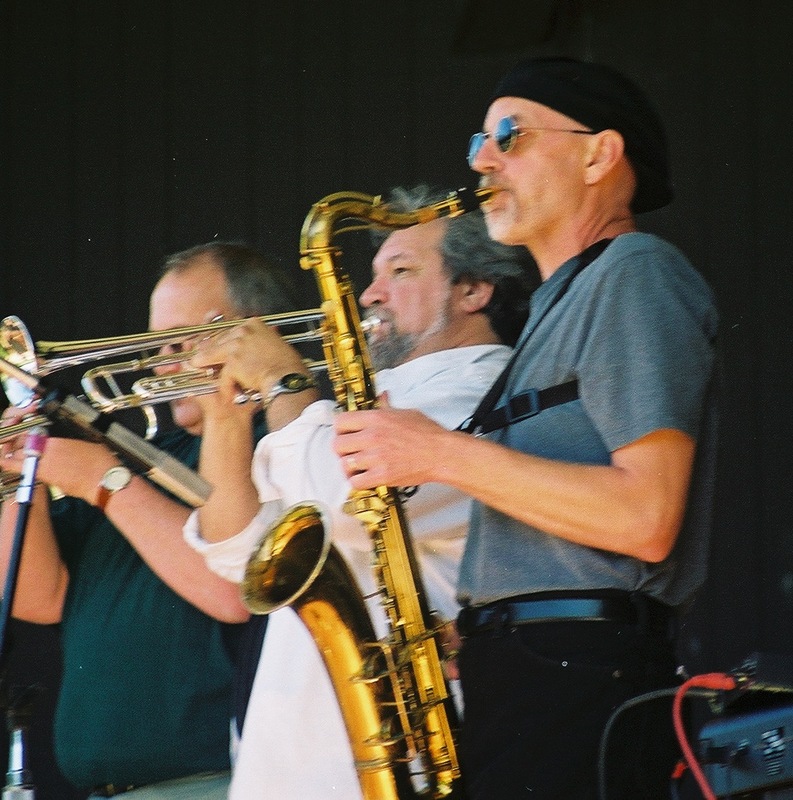 The clubs aren’t paying anymore than they did ten years ago, so it’s not economical to keep a horn section. 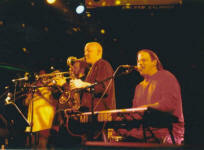 But a good live horn section is so exciting and a huge part of what D.C. & Co. is. Saxman, Doug Hill is the heart and soul of our horns, he keep things in check, even when he can’t be there he makes sure everybody has all the right info. We always have sax, trumpet and bone, but when our other horn players have a night off, they find us and jump in, it’s a blast. Like I said some of these guys have been playing on and off with us since the early 90’s. Adrian Garcia, popped in unexpectedly on this recording. Just set another plate at the table. Tell me about Rose Hudson. Rose is a great talent and a good friend. She’s been popping in and singing with us for years. I wanted to show her off and let others enjoy her talent. Rose just put out a new live CD. When I have the time and money, I would like to write and produce a Rose Hudson CD. Ok, tell me about Big Tone Torres. He’s definitely the real deal, and an integral D.C. family member. He has so much talent oozing from him. 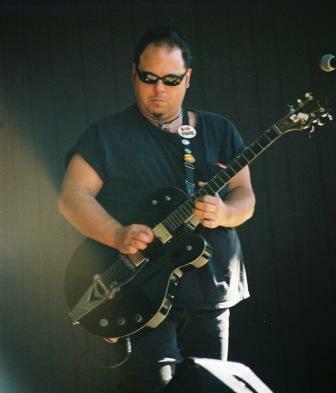 He’s one of the few Blues guitarist & front men that could thrill me as a 3pc. 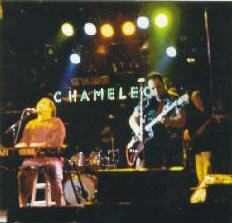 band for three sets live. I can’t say enough about his playing. How much effort was spent on mixing and editing this CD and how was it different then mixing a live CD. Well, I was really dreading, the mixing and editing of this, because I was sick as a dog the night we recorded this, with laryngitis or a cold from hell, what ever it was, and didn’t know if I pulled it off or not. I had this killer cold on and off for a couple of weeks prior to the gig, I tried smoking, and drinking but nothing seemed to help. No, it would seem like you were just about all better then it would come right back. Any how we played the night before, and I made it through. Now it’s New Years Eve, I have this great sound system, and Rick Coberly engineering, and Parallel Productions recording, all this money spent, all this equipment and talent ready to go, and into the second song it felt like I ripped something in my throat. So I just did the best I could with what was left, and tried to have some fun. So how bad was it when you got into the studio? To my surprise, it wasn’t near as bad as I was dreading, and was able to keep most of it. Vocally I re did a line here or there, When you don’t have much range I guess you don’t have much to lose. I think it came out fine, towards the end of the night on “Low Rider” you can hear it squeak a little. Yea, when we got into mixing, I decided that the main focus should be reproducing the energy, don’t worry about the small stuff, the nuances that make a CD live. The biggest difference between a live CD and a studio CD, is when you record in a studio, you record, then listen and recorded it again until you’re happy with it. Live, (on my budget) you record it and better be happy about it. The biggest disappointment for me is that I wasn’t able to put Gary’s percussions up where they belong. 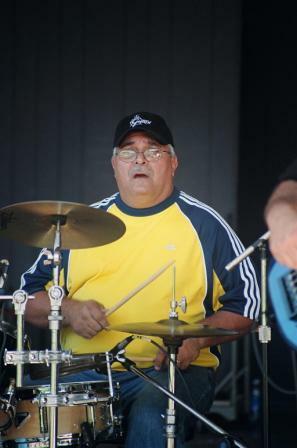 We ended up with a lot of drum bleed in his mics. He laid down some great stuff , and I couldn’t bring them up to where they should be. But there was absolutely no editing done or needed to the rhythm section or Big Tone. As for the CD as a whole, I know that there are a couple of clunkers here and there in the mix, but they are our clunkers. Let’s talk about reproducing the energy, how did you go about it? That’s what I had to figure out. First of all I was working with a very good engineer, Steve Puffer from Parallel Productions, and he wouldn’t stop tweaking until I was satisfied. If you want to know technically what we did, you’ll have to talk to him. When he first put the tracks up to start mixing, they were pretty much one dimensional. Almost like a wall of sound where everything was there but pasted to a flat wall. Now I had to think what my goals were, I wanted to create what I felt on the stage, the energy that fills me up, the great night of making music that makes you smile for two days and turns into a fading memory. I wanted to record that memory permanently without loosing any of the goose bumps. That sounds like a tall order, how does one not loose “the goose bumps”. I know it sounds nuts, and I just might be, but you make it sound like it does. 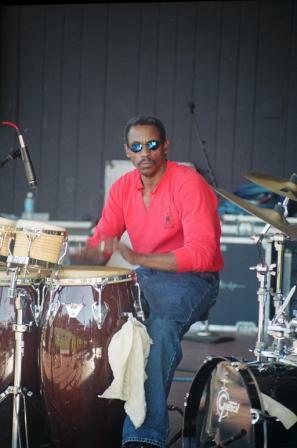 You put Dave Santana’s drums, in your back pocket, like it is on stage, you know what the kick drum feels and sounds like, and put it where it belongs you know where the bass goes and what it that thump sounds like, when you do the horns, keep the edges that make a sax a sax and a trumpet a trumpet, the edges are the exciting parts. When they hit the harmonies, you should feel them like their right in front of you. You give everything the space to travel front and back side to side up and down, you let it react like it did when it came out of those players the first time. So in the end it’s a multi-dimensional live and alive recording. Well, I certainly think that you accomplished that. Tell me what’s on the horizons for D.C. & Co.
First thing is to get this CD out there; put some air under its wings and see how far it flies. I need to put some time and effort into booking a spring tour to support it. In the mean time I’m writing, recording and producing some new music with various artist, some musicians that I’ve wanted to work with over the years. I don’t want to say anymore about it till we get a little further with the projects. 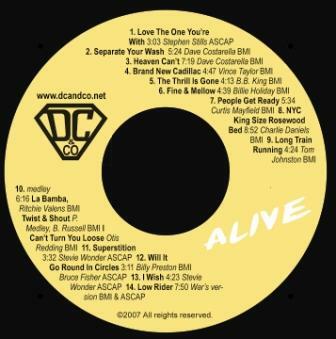 CD Baby is the largest independent music retailer and a safe and secure way to purchase this CD, Please click here to purchase D.C. & Co.'s brand new CD "Alive! !